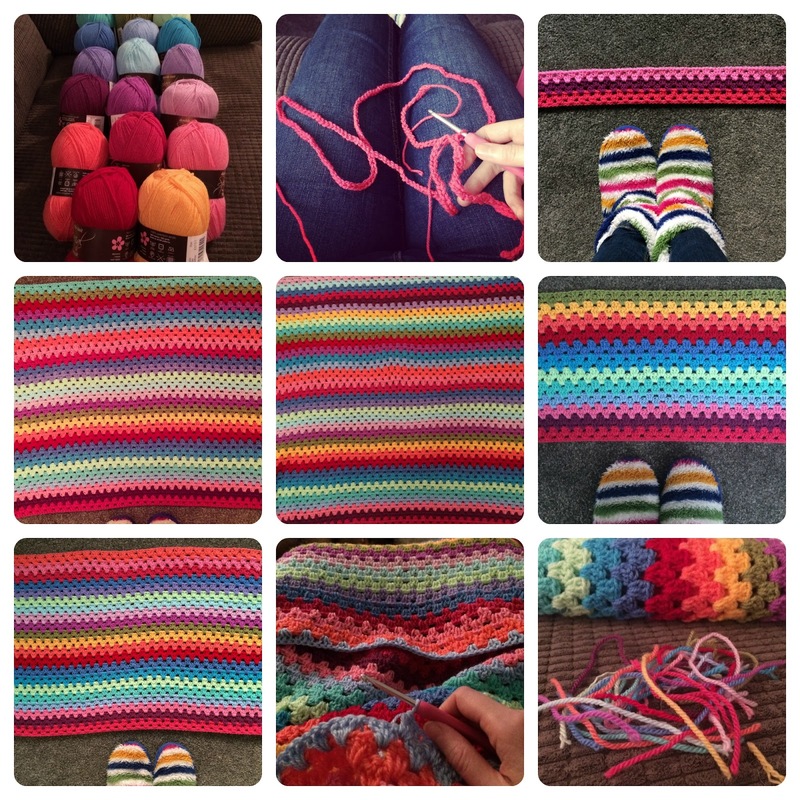 I've yet to share with you the bright bright bright granny stripe blanket I've been working on over the past 5 weeks. As I may have mentioned, I am not a fan of the traditional granny square, although I can't quite put my finger on why. I've never yet made anything that involves a granny square, and don't ever intend on doing so (I know that saying that out loud is like swearing at a crocheter, but it's the truth). I'm less offended by granny stripes, however. I like that they look so homely, and I like that they can work in both really plain and really crazy colours and still look good. And someone who has got the crazy bright colour thing down to perfection is Lucy from Attic 24. I'm sure you've all heard of Lucy; in fact, I should think some of you even made it over to the first ever Yarndale that Lucy helped to organise in September last year. If you haven't heard of Lucy, you definitely should nip over the Attic 24 and take a look at her natural flair for colour and creativity. 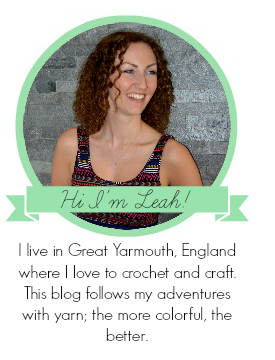 She's even become a writer for Simply Crochet magazine this year! I had been toying with the idea of starting a blanket for some time. The last blanket I made was at least 15 months or so ago, and I was missing having a large scale project that could tick along, that didn't require amigurumi style double crochet and lots of counting. 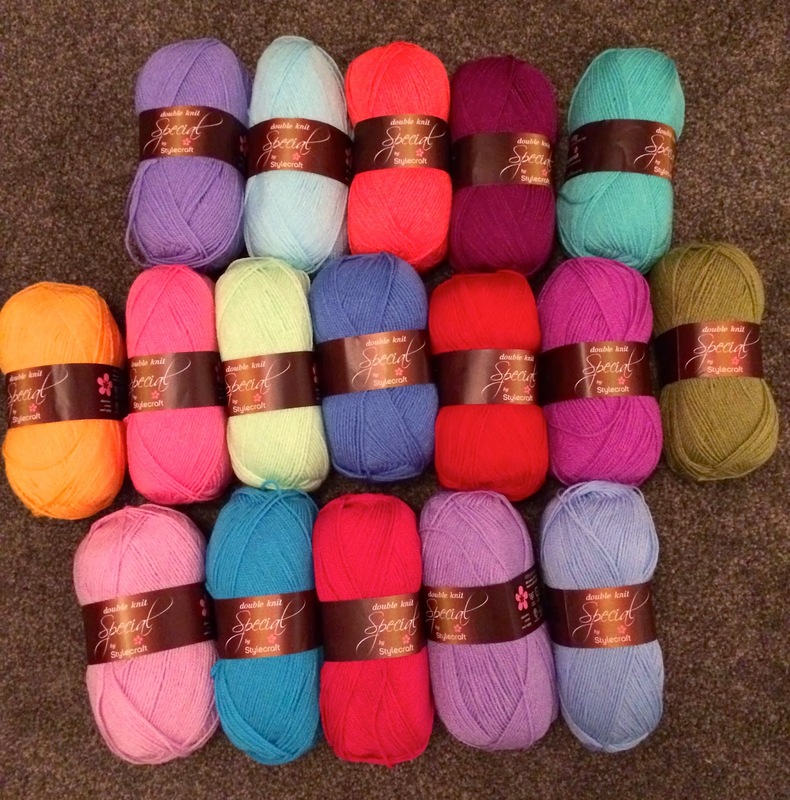 Then, just at the right time, Wool Warehouse began to sell their Stylecraft Special DK Attic 24 pack, 17 skeins of the very same colours that Lucy used to make her granny stripe blanket. I snapped a pack right up, and got started on the long chain as soon as it arrived - 240 in total! I'm actually really enjoying it. The blanket sits on my chair waiting for me to get home each night. Partly so it's right in front of me so I can't forget it, and partly so it's ready for me to pick up and get on with as soon as I have a few spare minutes. 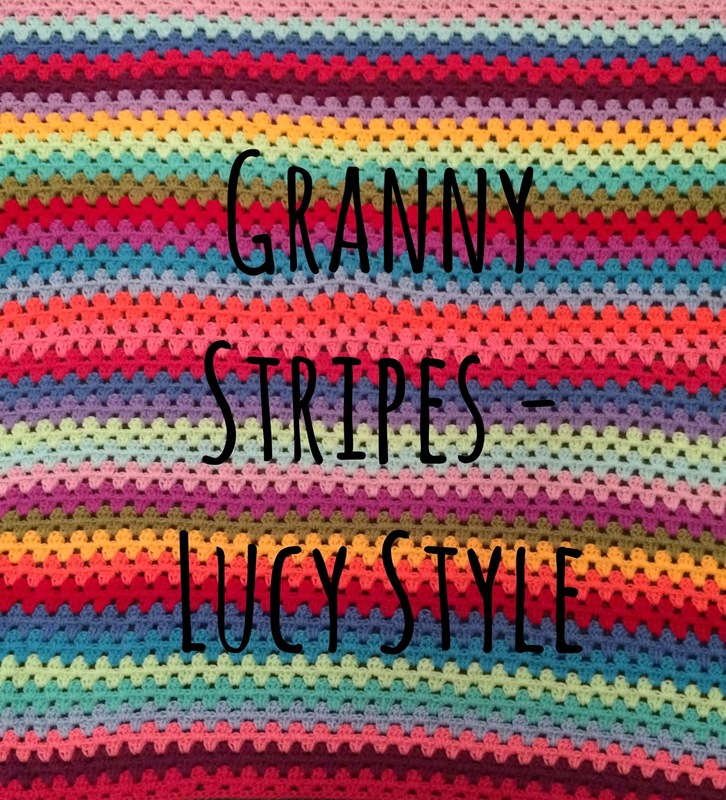 I like the repetitive nature of granny striping, it's so quick to pick up from where you left off without having to really think too much and it's nice not having to do any counting. I like having a project that I can put on the back burner whilst I'm doing other things but is there ready when I get the urge to blitz it. It's taking me about 25 minutes per stripe, so almost an hour for each colour, which means I'm really only adding one colour a night, yet it's still coming along really quickly. I'm also really pleased with Stylecraft DK. It's mega cheap yarn, around £1.60 a ball and yet it's nice and soft for a blanket, in the very nicest colours and doesn't really do the squeaky thing that other acrylics do. Stylecraft is definitely going to be my go-to yarn for blankets from now on. LOVELY granny stripes, Leah. And it's ok, I'll still speak to you even though you don't like granny squares :-P It's silly - some people really get upset about them! I am quite fussy about which ones I like - I prefer modern zany colours to old-fashioned ones. I LURVE your slippers too - very similar to mine - I bet your feet are cosy!